The struggling network that started as a joint venture in 2012 between Fox International Channels and RCN Colombia will soon be off the air for good, according to inside sources. 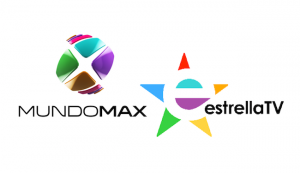 MundoMax, which was born MundoFox and was rebranded last year when RCN parted ways with Fox and took sole ownership of the network, is negotiating exits with the last remaining affiliates it has in the United States. In the past few months, several stations have already changed affiliations from MundoMax to independent status as those affiliate contracts expired, including WOCK channel 13 in Chicago, KFWD channel 52 in Dallas, KCNS channel 38 in San Francisco and WTBS channel 26 in the Atlanta area. “The signal is no longer viable and they will no longer broadcast,” states an insider. When asked about the possibility of a cable only operation, the source says management is liquidating all assets and is apparently looking to cut its losses by eliminating MundoMax. 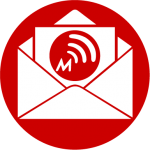 MundoMax management has ignored multiple requests for comment since Media Moves first reported the affiliate shutdown in early October. According to a source, MundoMax will go off the air at Meruelo Media-owned KWHY-22 in Los Angeles at the end of this month. The network may continue to broadcast a little longer at WGEN-TV in Miami if executives can’t negotiate a buyout before the affiliate contract expires. Dismal ratings (often a 0 rating), distribution problems and Colombian programming that never took off with the U.S. Hispanic audience have led to the network’s demise. 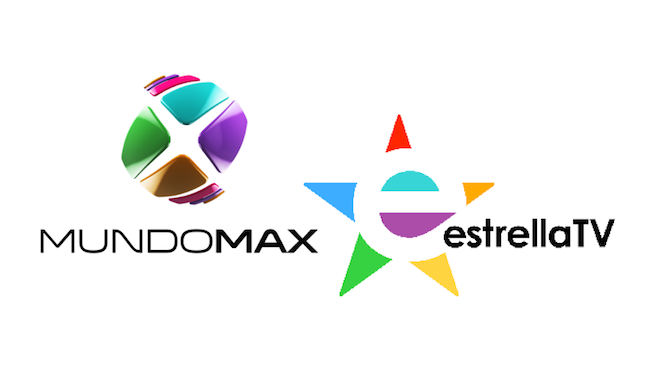 As MundoMax winds down, Estrella TV has seen an opportunity. The LBI Media network, which seeks to expand its reach, will take over affiliation from two MundoMax stations – Cocola Broadcasting-owned KGMC channel 43.1 Fresno and Sun Broadcasting-owned WXCW channel 46.2 Ft. Myers-Naples. LBI will also add Cocola Broadcasting-owned KWSM Santa Barbara as a new Estrella TV affiliate. Of course, basing a national network on Colombian-focused programming is dumb. What did they expect, to survive scratching 10k impressions a night? Go Mexican, go local, or go home. You have three choices. Imagine a Paraguayan focused national network… it would fail in an instant. Oh, yeah, Mexican…because there’s any other networks targeting that audience! How about appealing to ALL latinos? No, he’s right. The vast majority of Spanish-speakers in the U.S. have Mexican heritage. If that were not the case, Univision, Telemundo and Estrella wouldn’t be successful (and profitable) programming to them. The problem with MundoFox was that they guessed wrong about the parent network’s success carrying over with the language change. The problem with MundoMax was that they tried to fix the situation on the cheap, and that didn’t attract eyeballs, regardless of what country those eyeballs’ ancestors came from. MundoMax is almost like a network operation with the equivalent of last-rated independent station programming (that is to say, a schedule of scraps left over from the major stations buying up all the shows that actually get viewers). Hi! I just have a question. What happened to all the great shows in MUNDOMAX? Does anyone know where I can watch 100 latinos dijeron or Las Mil y Uno Noche. I totally hate the WGEND. I wish they would have said where are those great shows going? The problem with Mundomax is very simple. The person who has been taking the decisions of the company is a young and inexperienced person. He is the oldest son of one of the owners of RCN Television. This person helped to deteriorated the relationship with Fox International, thinking that he was more intelligent than them and also acting in bad faith when he was ordering business between MundoFox and other companies that were not part of RCN´s Group. This person also hired the services of another inexperienced person and very expensive for MundoFox. 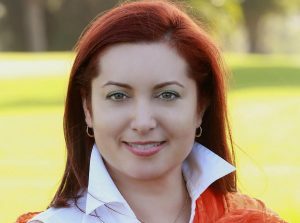 We are referring to the supposed COO/EVP of Programming, OAP, Operations and Development. He brought Ibra Morales as President, he brought then the interim President Jose Moline when Morales resigned and he is responsible that the network has the worst programming in all the industry. Mundofox could be an excellent Latino channel in the USA, unfortunately the 3rd generation always destroy the companies. Poor management and leadership, causes the shut downs. And know it was the 3rd generations/millennials there Telenovelas weren’t good nor popular. they may have done good in Los Angeles or Miami because of large hispanics populations, but otherwise they failed miserably. It sad, to see the network go I remember watching Fox Broadcast network, and I saw a launch promo for (then- Mundofox) featuring an upcoming telenovela. And I asked my mom what was MundoFox she said “I Don’t Know, and of course I or the entire hispanics hadn’t heard of Mundofox, It was still Univision,Telemundo to me. This past year and last year has just been sad, the shut down of news operations, the shut down of a network news operation, then the departure of Rolando Nichols, the lost of affiliations its just sad. I thought Mundomax was going to be successful it looked very good especially with the Fox advantage, but of course because of poor management the led to the Fox breakup, (It kinda reminds me of the NBC advantage Telemundo has, during election night a few days ago they were the only spanish-network over Univision to have live real-time election results and analysts because it was owned to NBC). So its sad what RCN management has done but at the end of the day we have to respect them. I think KWHY-TV Channel 22 and WGEN Channel 8 should become as a NBC Universo affiliate which is a sister cable network of Telemundo well NBC Universo airs a lot some Sports events, movies, TV Series among other NBC Universo programming I hope KWHY-TV Channel 22 and WGEN-TV Channel 8 would become as a NBC Universo affiliate in December 1, 2016. Except that they can’t, because they sold KWHY/22 as a condition of the Comcast sale. Since they own both the NBC and Telemundo stations in L.A. (KNBC/4 and KVEA/52) they already have a duopoly and the FCC did not allow their waiver to own a third station to carry over to Comcast. Remember they already have telexitios subchannel affiliates. It isn’t about being young and unexperienced, it is about arrogance and a complete lack of management skills, leadership, team work and off course, ignoring the U.S. Hispanic viewer. It is about constantly mistreating people at all levels including international content vendors. It’s hard to understand why RCN’s Senior management allowed a person like the supposed “COO/EVP of Programming, OAP, Operations and Development”, to manage the project. Do you need a title like that?. Just by the title you can figured out the “personality”. A project with such a potential wasted. I don’t mean to sound like a Bigot but, isn’t that person, from the same origin as the other delinquents ruling Univision since 2010? Those reporting to a recent failed political campaign honchos, Mr Televisa and the Tremendous Mr. Power Ranger? I hate to say I told you so. The responsible for the complete destruction,Mundo Fox.. Your headline is a bit misleading. Taking over affiliates gives the impression they took over everyone of them versus taking over a signal in Fresno and Naples. I had a lot of hope for Mundo Max when it was Mundo Fox. Now we’ll never know. I think KWHY Channel 22 is going to be an ethnic programming as Crossings TV and overnight hours of Liquidation Channel and this channel needs to buy another owner such as NRJ TV sister station of KSCI Channel 18 I hope KWHY Channel 22 will become an ethnic programming as Crossings TV with overnight hours of Liquidation Channel they should change call signs from KWHY to KNET-DT with a new owner NRJ TV. Meruelo isn’t going to sell KWHY. Please confine your pipe dreams to your own imaginative mind, Luis. I was apalled when all of a sudden yesterday Dec 1st I could not find MUNDOMAX on my TV. I thonk I spent over an hour calling Comcast, then the offices of MUNDOMAX in Califonria. I am so upset. I have followed two or three soap operas on this Channel even though I rarely watch TV in Spanish. The soap operas, two of them were Turkish and one is Greek, to y great surprise, since back in the day all sopa operas vame from Mexico, Argentina, Venezuela or Brazil. I have to say the Turkish ones have been excellent. Now my husband and myself started watching Suleiman the Magnificent about a year and a half ago. A magnificently made Turkish production that has gone all the way in scenery, sets, wardrobe and has tried to be totally faithful to the facts of this great man. We have not missed one episode since it started. We have ot as as series recording so it records no matter what when we go on vacation or are doing chores. Well lo and behold yesterday we sit down and can’t find the recorded episode. We look at the GUIDE and now we have AzTECA AMERICA…..we were furious, speechless, to say the least. The series has been running for a year and a half and has only maybe 14 episodes left and the the have the Gall to all of a sudden disappear!! I am in shock. To make things worse as someone else in this blog, they have replaced it by yet another Mexican channel!! Do they think only Mexicans live in the US?? Enough of Mexican TV which is so not our style. I was apalled when all of a sudden yesterday Dec 1st I could not find MUNDOMAX on my TV. I thonk I spent over an hour calling Comcast, then the offices of MUNDOMAX in Califonria. I am so upset. I have followed two or three soap operas on this Channel even though I rarely watch TV in Spanish. The soap operas, two of them were Turkish and one is Greek, to y great surprise, since back in the day all sopa operas vame from Mexico, Argentina, Venezuela or Brazil. I have to say the Turkish ones have been excellent. Now my husband and myself started watching Suleiman the Magnificent about a year and a half ago. A magnificently made Turkish production that has gone all the way in scenery, sets, wardrobe and has tried to be totally faithful to the facts of this great man. We have not missed one episode since it started. We have it as as series recording so it records no matter what when we go on vacation or are doing chores. Well lo and behold yesterday we sit down and can’t find the recorded episode. We look at the GUIDE and now we have AzTECA AMERICA…..we were furious, speechless, to say the least. The series has been running for a year and a half and has only maybe 14 episodes left and the the have the Gall to all of a sudden disappear!! I am in shock. To make things worse as someone else in this blog, they have replaced it by yet another Mexican channel!! Do they think only Mexicans live in the US?? Enough of Mexican TV which is so not our style. Well, way to treat the few viewers you had. Very poor communication from “PR” since the switch last year. Pls dont assume that we are all just Mexican. There are South Americans, Central Americans -American in the U S mkt. C olombian novelas are more entertaining imo, Brazilian, Turkish are excellent productions. To keep watching Suleiman, I had to resort to Youtube, until someone mysteriously called copywrite enfringment and YT yanked the uploads( Some great ppl had actually uploaded the entire series). MundoFox/Max was great, thank you! But…..someone needs to fill the void- there really is a growing demographic shift and Univ, TM are sleeping on it. Learn from mistakes made & make it happen.